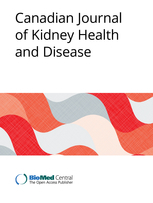 D. Burns, K., Levin, A., Fowler, E., Butcher, L., Turcotte, M., Makarchuk, M., Benoît Macaluso, Vincent Larivière, Sherman, P. «The KRESCENT Program (2005-2015): An Evaluation of the State of Kidney Research Training in Canada», Canadian Journal of Kidney Health and Disease, vol. 4 (2017) pp.1-9. Background: The Kidney Research Scientist Core Education and National Training (KRESCENT) Program was launched in 2005 to enhance kidney research capacity in Canada and foster knowledge translation across the 4 themes of health research. Objective: To evaluate the impact of KRESCENT on its major objectives and on the careers of trainees after its first 10 years. Methods: An online survey of trainees (n = 53) who had completed or were enrolled in KRESCENT was conducted in 2015. Information was also obtained from curriculum vitae (CVs). A bibliometric analysis assessed scientific productivity, collaboration, and impact in comparison with unsuccessful applicants to KRESCENT over the same period. The analysis included a comparison of Canadian with international kidney research metrics from 2000 to 2014. Results: Thirty-nine KRESCENT trainees completed the survey (74%), and 44 trainees (83%) submitted CVs. KRESCENT trainees had a high success rate at obtaining grant funding from the Canadian Institutes of Health Research (CIHR; 79%), and 76% of Post-Doctoral Fellows received academic appointments at the Assistant Professor level within 8 months of completing training. The majority of trainees reported that KRESCENT had contributed significantly to their success in securing CIHR funding (90%), and to the creation of knowledge (93%) and development of new methodologies (50%). Bibliometric analysis revealed a small but steady decline in total international kidney research output from 2000 to 2014, as a percentage of all health research, although overall impact of kidney research in Canada increased from 2000-2005 to 2009- 2014 compared with other countries. KRESCENT trainees demonstrated increased productivity, multiauthored papers, impact, and international collaborations after their training, compared with nonfunded applicants. Conclusions: The KRESCENT Program has fostered kidney research career development and contributed to increased capacity, productivity, and collaboration. To further enhance knowledge creation and translation in kidney research in Canada, programs such as KRESCENT should be sustained via long-term funding partnerships. Ce contenu a été mis à jour le 7 juin 2017 à 10 h 41 min.